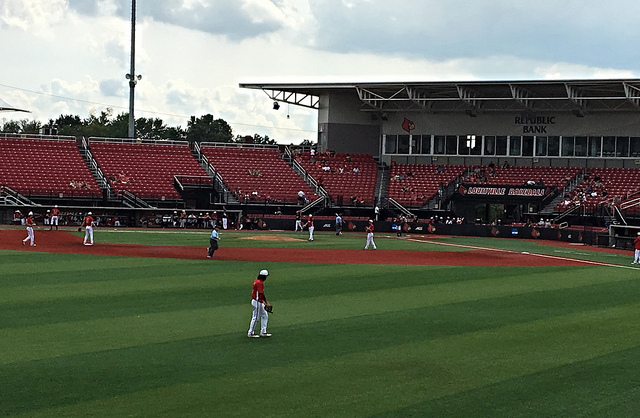 Jim Patterson Stadium-Louisville, KY: This past weekend has to be one of the busiest in this town that I have seen since moving down this way, since the Derby weekend, anyway. Since this is a baseball blog, I’ll be moving backwards and start with Sunday. 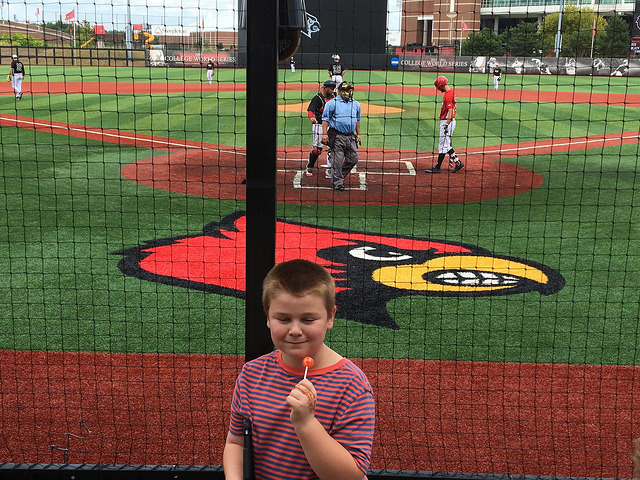 Brian and I decided to check out a little Louisville Cardinal fall ball scrimmage, and it was a lot of fun. Simply a beautiful day and there’s not too many places I’d rather be than a ballpark. 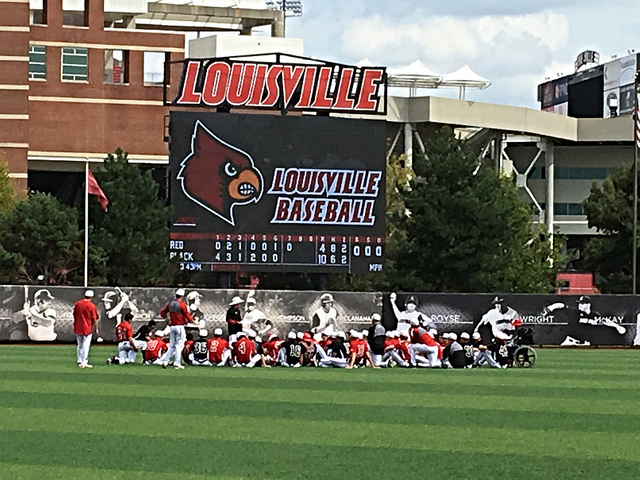 Granted, this was just an inter-squad scrimmage, and most may protest that these games don’t mean anything, but I disagree. To the kids trying to either earn a walk-on position, or a spot in the starting lineup, there games can mean plenty. I felt bad for the left fielder, who made a couple of errors, and we were within ear-shot to hear his frustrations loud and clear. Take this for what it is, just something to do, watching something we love, spending time with my little buddy. Final: Black 10, Red 4. Now, on Saturday, there was some kind of college football going on, and I guess this could be considered the busiest day of the weekend. That’s probably why we stayed away from town. I think the whole ESPN College Gameday crew was in town, also. Although not a big football fan, I did watch some of the Louisville vs. Florida State game on TV, and was happy for a big Louisville win (63-20). It’s always good for the town and the school, and I’ve never cared much for the Seminoles much in any sport, anyway. KFC Yum! 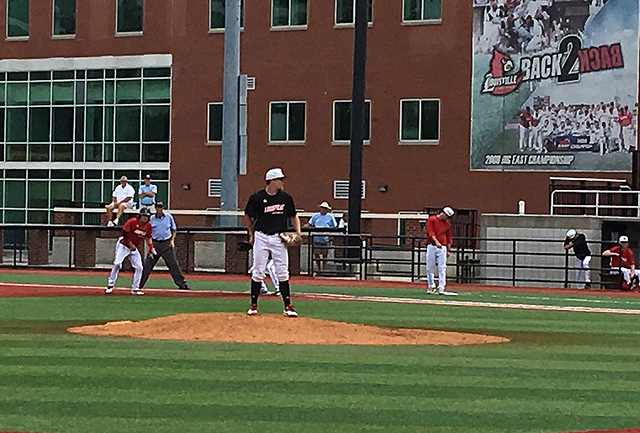 Center-Louisville, KY: Friday was a fun day for the boys and I, also. This was both Trevor and Brian’s first WWE (I still call it WWF) show. 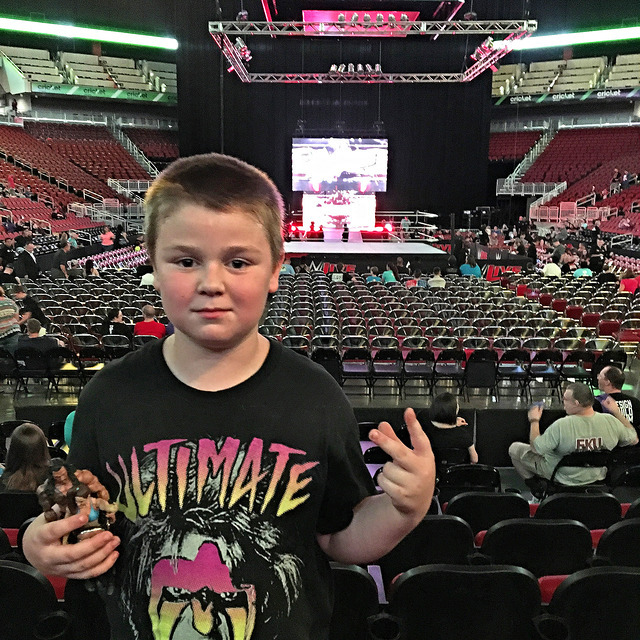 Brian was happy to see his two favorites Bayley and Roman Reigns fight. 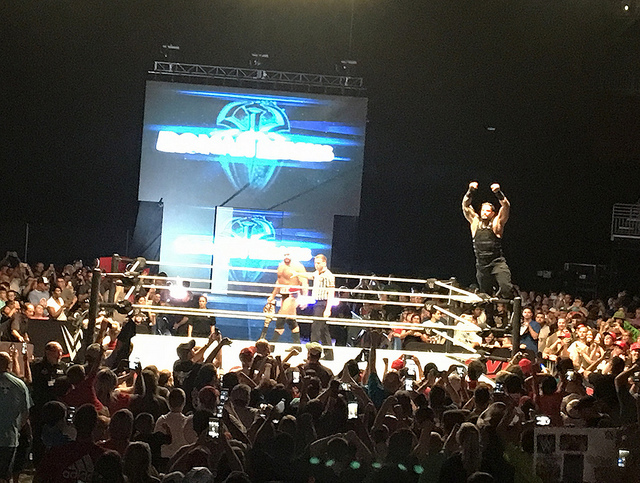 It was a pretty good show, as the U.S. Championship, Tag-Team Championship, and Universal Championship belts were all defended. 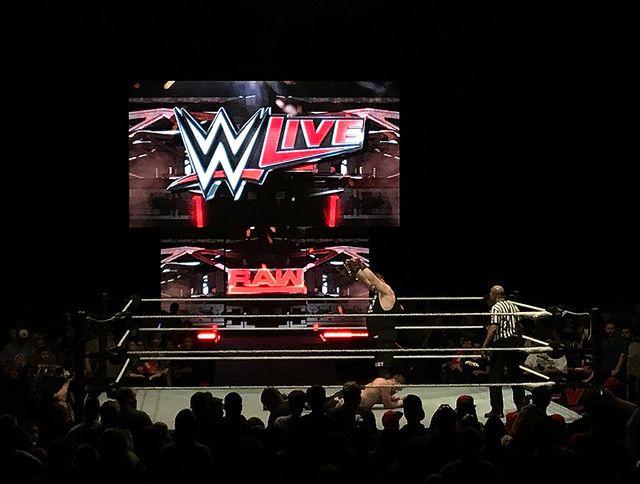 I’d much rather attend a ‘house show’ than a TV event, as all they do is talk and you don’t see as much action. 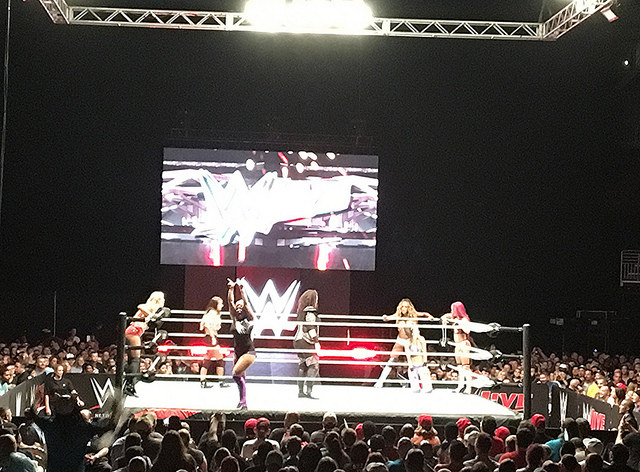 We all had a great time, and will probably come again when the WWE is in town. As well as baseball, Louisville is a decent place for a wrestling fan to live, also. We have the local Ohio Valley Wrestling which is a lot of fun, and some other indy promotions in southern Indiana.